Master blender and overall cigar enthusiast Daniel Guerrero met Tabacos Costas master blender Emiliano Lagos and set out to create a new and refined cigar that would showcase the intense flavor Guerrero found in Emiliano's previous work. This project became El Viejo Continente, or 'the old continent'. Handmade in Nicaragua, El Viejo Continente Classic is a medium to full-bodied cigar featuring an Ecuadorian Habano wrapper and premium Nicaraguan binder and filler for a rich and complex smoking experience only two bonafide tobacco experts could conjure up. 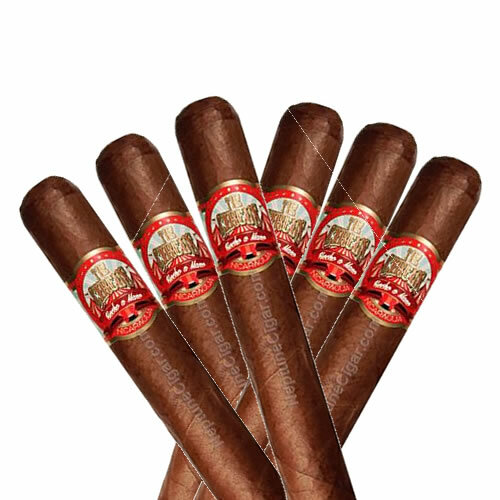 NeptuneCigar.com We're sorry, but we are unable to make deliveries to Iraq. NeptuneCigar.com Yes, we do ship internationally. Check out our FAQ aritcle title "International Shipping Policy" for more information. What a great smoke!!! 100% going to be a regular in my rotation from now on!! Beautiful construction and a perfect burn!